The 14th & 15th August marks the Independence days of Pakistan and India which saw 12.5million people displaced from their homes and and over 1 million dead from the violence which ensued. Jinnah in Pakistan and Gandhi in India are celebrated as hero’s but those who gave their lives for an independent undivided country free from corruption and social division, lay forgotten in the shadows. Pundit Ram Prashad Bismil, the founder member of Hindustan Republican Association and revolutionary poet whose songs helped inspire future freedom fighters like Bhagat Singh. Kartar Singh Sarabha, the visionary leader of the Ghadar Party and one of the youngest freedom fighters to be hanged at the age of 19. Ashfaqulla Khan, another revolutionary poet and close aide of Pundit Bismil who dreamt of an united India where Hindu’s, Muslims and Sikhs could live in an equal society. Chandra Shekhar Azad, the chief strategist of the Hindustan Republican Association who advocated socialism as the way forward for a corrupt free society and was at one time the most wanted man in the whole of India. If only the ideology preached by these freedom fighters was to be practiced by the current governments of the two countries, society would be alot different. He was the real culprit. He deserved it. He wanted to crush the spirit of my people, so I have crushed him. – Shaheed Udham Singh, telling the trial court why he killed former Punjab Lieutenant-Governor Michael O’Dwyer. Udham Singh, the great freedom fighter from Punjab, was born Sher Singh, on 26 December 1899, at Sunam, in the princely state of Patiala. His father, Tahal Singh, was at that time working as a watchman on a railway crossing in the neighbouring village of Upall . Sher Singh lost his parents before he was seven years and was admitted along with his brother Mukta Singh to the Central Khalsa Orphanage at Amritsar on 24 October 1907. As both brothers were administered the Sikh initiatory rites at the Orphanage, they received new names, Sher Singh becoming Udham Singh and Mukta Singh became Sadhu Singh. In 1917, Udham Singh’s brother also died, leaving him alone in the world. Here at the orphangae, he received education and training in crafts. Udham Singh left the Orphanage after passing the matriculation examination in 1918. He set up a painters shop with the signboard of Ram Mahammad Singh Azaad, a name he would later use during his trial in London. In the spring of 1919, Punjab was at a crossroads of history. The First World War was over, and soldiers were returning to discover an India more impoverished and less free than it was when they left. News of that tumultuous event, the Russian Revolution, had fired the imagination of thousands of young people. Memories of the failed Punjab ghadar (revolt) of 1914-1915, led by Sikh emigrants to North America who returned to India embittered by racial discrimination, were fresh. The trial and martyrdom of the Ghadar Party leadership in the Lahore Conspiracy trial, and the internment of some 1,500 of the emigrants in India, proved an abiding symbol for a younger generation of radicals. It was during this time that the British administration tried to push through the Rowlatt Act. This law would allow the colonial government to keep those accused of dissent imprisoned without any evidence or a trial. Pan-India reaction was furious, and the Congress’ call for non-violent protest was widely endorsed. By April 6, the anti-Rowlatt Act movement was at its peak in Punjab. Practically the whole of Lahore was on the streets. On April 10, 1919, the Empire tried to hit back. Two key Punjab Congress leaders, the Cambridge-educated allopath Dr. Saifuddin Kitchlew and his colleague Dr. Satyapal, were arrested as pre-meditative measure. News of Gandhi’s arrest the previous day soon reached Amritsar. The city exploded. Over 15,000 people gathered at the Carriage Bridge and demanded to know the whereabouts of Satyapal and Kitchlew. The police in return ordered a firing. 25 people were left for dead. No effort, Dyer later admitted, had been made to prevent the gathering from taking place, a fact which, coupled with rally organiser Hans Raj’s somewhat murky background, led some contemporary observers to speculate that the dusty field had been deliberately chosen as a killing field. Dyer arrived at Jallianwala Bagh, along with two young officers, Briggs and Anderson, 50 Indian and British riflemen, 40 Gurkhas, and two armoured cars. The armoured cars were left on the road outside the maidan, for the sole entrance was too narrow to accommodate them. A few minutes before sunset, the first of 1,650 rounds were fired into the crowd. Congress leader Durga Das at first believed the shots were fired into the air, but soon realised bodies were falling all around him. No warning was given to disperse before Dyer opened fire. Many died when they jumped into the well at the left-hand side of the field, only to be crushed by others who desperately dived on top of them. Udham Singh who was present at the Jalianwala Bagh on that fateful day, would later recall on the massacre with anger and sorrow. On this day, General Dyer changed the course of Sardar Udham Singh’s life. He resolved to wreck vengeance on the perpetrators of this heinous crime, General Dyer, Sir Michael O’Dwyer the Lieutenant Governor, Punjab and Lord Zetland Secretary of State of India. 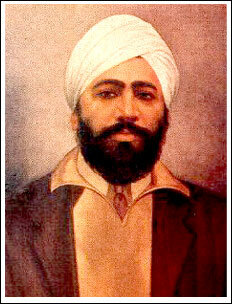 Sardar Udham Singh moved from one country to another country to shoot the murderers of his countrymen.. He felt thrilled to learn about the militant activities of the Babar Akalis, in the early 1920’s, and secretly kept with him, some revolvers and was arrested by the police in Amritsar, and sentenced to four years imprisonment under the Arms Act. On release in 1931, he returned to his native Sunam, but harassed by the local police, he once again returned to Amritsar and opened a shop as a signboard painter, assuming the name of Ram Muhammad Singh Azad. This name, which he was to use later in England , was adopted to emphasize the unity of all the religious communities in India in their struggle for political freedom.. He reached London through Germany where he joined a training course to hoodwink his activities to trace General Dyer, Sir Michael O’ Dwyer and Lord Zetland. It took him twenty years to meet Sir Michael O’Dwyer and Lord Zetland. The third culprit General Dyer had already expired. After 21 years, it was on the 13th March. 1940 when Sir Michael O’ Dwyer and Lord Zetland had come to attend a meeting in the Caxton Hall in London, that Sardar Udham Singh entered there with his revolver hidden inside a book. Sardar Udham Singh gunned Sir Michael O’Dwyer down with his revolver. There was great panic and pandemonium in the Hall. He in fact made no attempt to escape and continued saying that he had done his duty by his country. Sardar Udham Singh stood firm and he was chained. On 1 April 1940, Udham Singh was formally charged with the murder of Sir Michael O’Dwyer. When produced before the Magistrate, he said ‘I did the deed because Sir Michael O’Dwyer wanted to crush all our aspirations for freedom. I had been after him for full 21 years. I am happy that I have fulfilled my job. I am not afraid of death’. On 4 June 1940, he was committed to trial, at the Central Criminal Court, Old Bailey, before Justice Atkinson, who sentenced him to death. An appeal was filed on his behalf which was dismissed on 15 July 1940. On 31 July 1940, Udham Singh was hanged in Pentonville Prison in London . Udham Singh was essentially a man of action and save his statement before the judge at his trial, there was no writing from his pen available to historians. Recently, letters written by him to Shiv Singh Jauhal during his days in prison after the shooting of Sir Michael O’Dwyer have been discovered and published. These letters show him as a man of great courage, with a sense of humour. He called himself a ‘guest of His Majesty King George’, and he looked upon death as a bride he was going to wed. By remaining cheerful to the last and going joyfully to the gallows, he followed the example of Bhagat Singh who had been his beau ideal. During the trial, Udham Singh had made a request that his ashes be sent back to his country, but this was not allowed. In 1975, however, the Government of India, at the instance of the Punjab Government, finally succeeded in bringing his ashes home. Thousands of people gathered on the occasion to pay homage to his memory. 29 years ago today, a few days after Operation Bluestar which saw the Indian Army attack the holiest shrine of the Sikhs, the then ex-Chief Minister of Punjab Parkash Singh Badal and Ex-Union Minister Surjit Singh Barnala were arrested in Chandigarh just a few hours before they were to be interviewed by the BBC. Emotionally charged and angered at the news, thousands of Sikhs serving in the Army overnight mutineered and deserted their barracks. Sikh soldiers based in Maharastra, Gujarat and Bihar started to march towards Punjab only to be ambushed by the Police and other regiments of the Indian Army. It is estimated that hundreds of Sikh Soldiers died that night. Those who survived the ambush were court martialed and imprisoned. When released they were denied their Military pensions and forced to live in abject poverty. These Sikh Soldiers who rebelled to help defend their place of worship are now called “Dharmi Faujis” (Soldiers of Faith). Not once did Badal or Barnala, who asked these Soldiers to mutiny in the first place, visit them in jail or after they had been released. In 2010 and 2011 I visited Punjab to meet some of the Dharmi Fauji’s. One of these was Major Dalbir Singh who was imprisoned for 13 years after deserting his barracks on the night of 9th June 1984. Until a few years ago he lived with his wife in a makeshift house with no income or pension. Another Dharmi Fauji who was at the rank of Sergeant at the time of mutiny now fails to pay for his children’s education as he has little or no income. Whilst we remember those who 29 years ago gave up their lives for their faith, please remember those who have been living the nightmare everyday since then. Yesterday, an ex-MP in India, Sajjan Kumar was acquitted of inciting racial hatred and murdering 3 Sikhs during the Anti-Sikh Massacre of 1984 despite the enormous evidence against him. 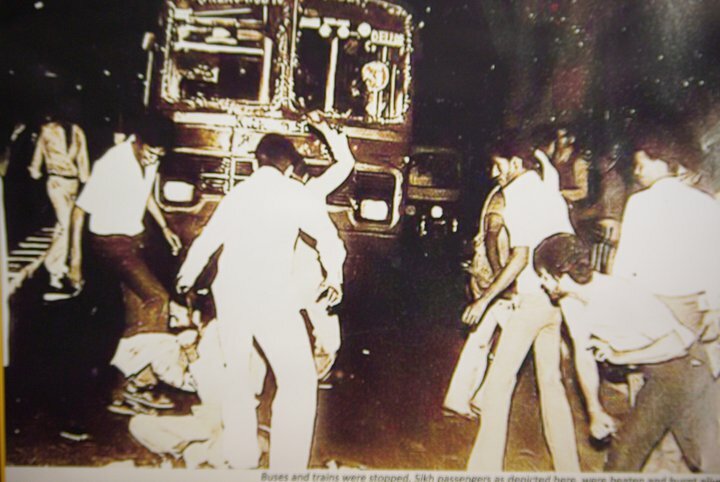 My new blog update gives a background to the Anti-Sikh Massacre of 1984 which occurred in the aftermath of the assassination of the then Indian Prime Minister Indira Gandhi. Everyday 10,000 people supposedly visit the grave of one person and every year the Indian prime minister of the time goes to present flowers on the anniversary of this persons death. This person was killed 29 years ago and yet there is no mention of moving on, forgetting. On the other hand thousands of people lost their lives and we are asked not to even remember them, to forget and move on. What makes one ladies life more valuable then that of thousands? Simple, it is the fact that her death can be justified. You can explain to people that she was assassinated for ordering Operation Blue Star that resulted in thousands of Sikhs being massacred in their own Holy shrines and even then the people that assassinated her where duly punished immediately. But you can not explain the deaths of the innocent people that were killed in response to her assassination. Of course people want Sikhs to forget the Delhi Massacre, it would save them from the many unanswerable questions. Forgetting it seems is better then explaining why the friendly neighbour turned into monster, the politicians into mob leaders and the government institutions closed their doors on those desperate for their help. Neighbours look out for neighbours but during the Delhi Massacres, all neighbourly love was forgotten. Neighbours joined in the mobs to first kill the men and the children in the most gruesome way possible by putting tires around their necks and burning them alive. The Sikh males died trying to protect their families. With no one to protect them the females, regardless of age, were gang raped. The clothes worn were torn to shreds and the clothes in the houses burned, leaving the women helpless and naked to wander. The people with whom the Sikhs had joined together with to celebrate holidays and other aspects of life, were the same that were attacking them. With Sikhs killed or in hiding, the neighbours and other members of the mob looted the households. Sikhs were left with nothing, not even their dignity. If there were any neighbors that were merciful and tried to protect their Sikh neighbours, the politicians made sure they didn’t let them.The vilest of criminals and thieves were bused in from other parts of the country to lead the mobs. The mobs were armed with highly flammable white powder and gasoline given to them by the police and politicians and sent of to track Sikhs using voting lists stating where Sikh homes were. If that was not enough politicians like Sajjan Kumar were dictating to mobs “u will not be caught, nothing will happen, kill sikhs” from a louder speaker from a jeep. Sajan and Jagdesh both of whom had lead the mobs were promoted with higher positions in the government within a month of the massacre. Till date both have not been punished and enjoy fruits of their ill earned positions. What they did was only possible because of leaders like Rajiv Gandhi who justified the massacre by saying “when a tree falls the ground shakes” ie Sikhs should expect this treatment. The government failed Sikhs in 1984 and so did the government agencies. The hospitals, the army and the police all failed its citizens by sitting back and watching the destruction take place. The police refused to protect the Sikhs, not one report filed against members of the mob was acted upon. The police actually went out of their way to assist the mobsters to make sure no Sikhs survived the massacre. The army sat back and watched, did not help in trying to regain order and save the innocent. The hospitals and the doctors broke their oath by not helping save lives, instead turned people back. The popular method of attacking the Sikhs was burning tires and the hospitals closed all burn units. There was no hope for survival. Those that had sworn to help all, turned their backs on one group of citizens, the Sikhs. The neighbours turned into foes, the politicians into opportunists, the government agencies forgot their vows and it is the Sikhs that are stirring up trouble? 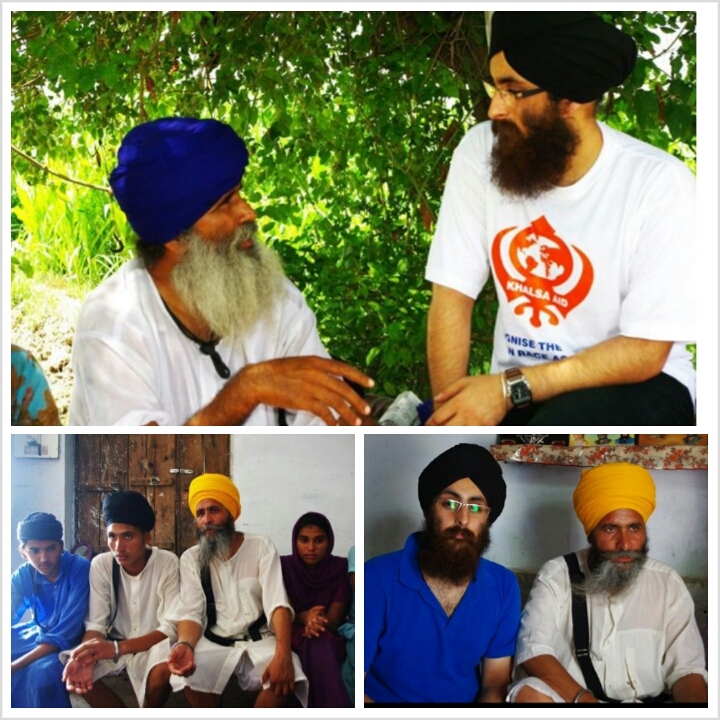 We are not asked to move on, to forget because Sikhs are in the wrong. We are asked to move on because we are asking questions, we are accusing the party in the wrong and no one has answers. We are asked to move on because Government wants to get away with it. I implore everybody to read ‘I accuse’ by Jarnail Singh Ji to better understand what happened in 1984 and then tell me, how does one move on from a event like that? REMEMBER 84…Let the silence be heard!! Committed communicator, perceptive, passionate, admirable…any young person would be flattered to be the subject of any one of these adjectives. What would happen if all of them, and many more, were used for the same person? Well, he would be a legend. A legend who is a martyr, a Shaheed. The legacy of the man is such that his name sounds incomplete without this prefix. Bhagat Singh, the freedom fighter, has been immortalised as martyr, so much so that we often forget to acknowledge the person who accomplished the feats that helped change the course of Indian history. Was it his sacrifice alone that made Bhagat Singh great? No, not at all! There is much more to this man who did not get to celebrate his 24th birthday, but has left a robust and inspiring legacy recognised even 80 years after he was martyred. To understand Bhagat Singh is a difficult task. Though he did not live for long, as we journey through his life, we realise that it was action-packed events around him shaped Bhagat Singh’s mind. Eventually, he was to have a tremendous effect on shaping history. The Punjab, during the days of Bhagat Singh’s childhood, was in turmoil. He was only 12-year-old when, on April 13, 1919, Brigadier-General Reginald Dyer ordered his soldiers to open fire on an unarmed gathering of men, women and children at Jallianwala Bagh, Amritsar. The firing lasted about 10 minutes and 1,600 rounds were fired. Official sources placed the casualties at 379, others said the number was over 1,000, with more than 2,000 wounded. It is one of the most horrific events of Indian history. Although Bhagat Singh initially studied at District Board Primary School in Banga, Jalandhar, but later he was studying at DAV High School, Lahore. It was regarded by the British as a “nursery of seditious activities”. Bhagat Singh was precocious, but not studious. He read a wide range of books, and was fluent in Urdu, and he used this language to write his first letter to his grandfather, Arjan Singh. He was 14 when, on February 20, 1921, at Nankana Sahib, the birthplace of Guru Nanak Dev ji, there was an incident that left a deep impact on him. Narain Das, who was the custodian of Nankana Sahib, and his men, fired on Akali protesters. The firing was widely condemned, and an agitation was launched till the control of this historic gurdwara was restored to the Sikhs. Bhagat Singh served langar (food) to volunteers who passed through his village on their way to Nankana Sahib. When he was 16, there came the Jaito Morcha of 1923, which was an Akali agitation for the restoration of Maharaja Ripudaman Singh of Nabha who had strong nationalistic sympathies. It was in this backdrop of unrest and the harsh coercive power of the state, which was being used to quell legitimate protests, that Bhagat Singh the martyr was shaped. Often the youth are accused of being rudderless, but what is forgotten is that sometimes young people have a clear vision of what they see as their role in future, and single-mindedly work on it. 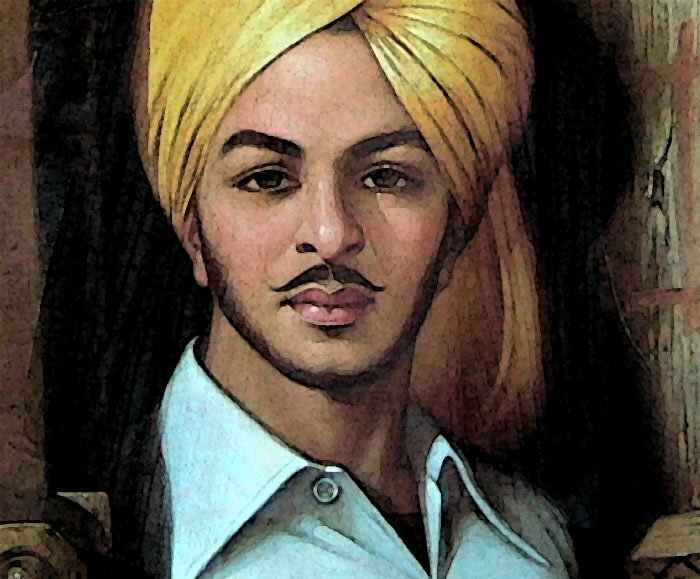 By the time he was 16, Bhagat Singh had made conscious choices about what he had to do with his life—he dedicated it to the cause of securing freedom for India. In doing so, he did not follow the constitutional approach of B.G. Gokhale and his supporters. Mahatma Gandhi’s non-cooperation movement did not hold his interest for long. For Bhagat Singh his course lay in following a revolutionary course, even if it meant taking a route of violence in facing the might of the British Raj. In 1923, Bhagat Singh joined National College, Lahore, where he made a positive impression, academically. He was also a member of the college dramatics society. One of the very few pictures available of Bhagat Singh is a portrait of the members of dramatics club taken at National College in 1921-22. By that time, he was fluent in Urdu, Hindi, Gurmukhi, English, and Sanskrit. Bhagat Singh won an essay competition organised by the Punjab Hindi Sahitya Sammelan in 1923. His essay, Punjab’s Language and Script, quotes Punjabi literature and discusses the problems of the Punjab. Bhagat Singh was arrested in 1927 on charges of association with the Kakori Train Robbery Case. He was also accused of being responsible for a bomb explosion at Lahore during the Dussehra fair. He was let off for good behaviour against a heavy security of Rs 60,000. In September 1928, a meeting of various revolutionaries from across India was called in Delhi under the banner of the Kirti Kissan Party. Bhagat Singh was the secretary of the meet. His later revolutionary activities were carried out as a leader of this association. Bhagat Singh and his compatriots killed a British police officer to avenge the death of Lala Lajpat Rai who succumbed to his injuries following a brutal beating by the police. Later, Bhagat Singh and Batukeshwar Dutt, another revolutionary, threw a bomb in the Central Assembly to protest against the Defence of India Act which gave more power to the police. They were arrested and imprisoned. Bhagat Singh used all his court appearances not to press for his acquittal or freedom but to espouse the cause of the freedom of the nation, till the very last, and, in fact, even beyond that. Shaheed Bhagat Singh became an even more potent rallying point against the Raj than Bhagat Singh alive. The slogan Inqulab Zindabad that he has rallied under, as he lived the life of a revolutionary, was now substituted by another one—Bhagat Singh Zindabad. Shaheed Bhagat Singh became too much of an icon, everyone wanted to adopt him. In the course of the decades that followed, the young man was appropriated by political groups that claimed him as their own, earlier, and even now, as we have recently seen in Punjab. When we look back at the legacy of Bhagat Singh, the picture that emerges is of a person with an intellect and expression far beyond his years. He was well read, and a number of his letters from the Lahore Jail refer to books or request his friends to send him book and other reading material. On March 23, 1931, Bhagat Singh, Rajguru and Sukhdev were hanged in Lahore. He was a nationalist, a hero and a youth who became an icon. Even as political parties seek mileage by associating with his name, one cannot but help feeling that Bhagat Singh would have taken to task the pretenders who are not, by any stretch of imagination, as committed to ideals as he was.